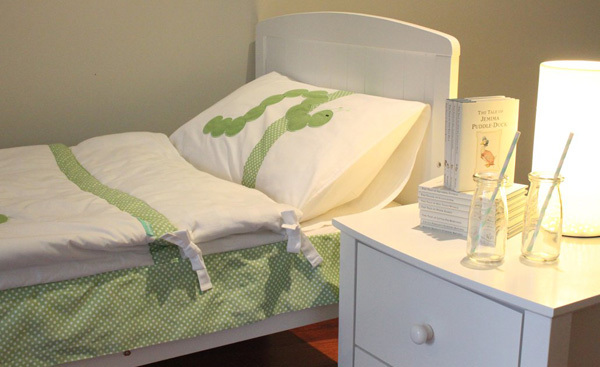 No matter how much night time wriggling occurs, small children will never kick off their quilt again! 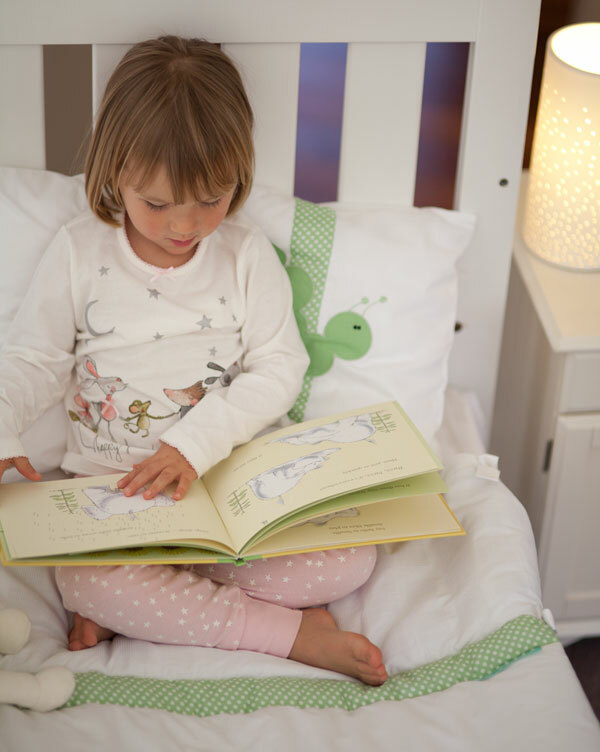 No need for separate blankets and sheets, the SnugglePouch really is all you need to create a beautifully cosy bed for your child. The SnugglePouch is exactly that – a snug pouch – using a flat sheet and attached quilt which secure together, making it impossible for the quilt to be kicked off. The SnugglePouch is made from beautiful print polka dot fabrics and waffle weave cotton and is all completely machine washable. Children and adults alike will be sure to love the applique and embroidery motifs on the two unisex designs – Munchy Caterpillar and Counting Sheep. To complete the look, both sets come with a coordinating pillowcase. Suitable for children aged twelve months and up, the SnugglePouch generously fits standard cot sized and Boori mattresses, so they’re perfect for toddler beds. It is priced $139 from SnugglePouch. Delivery is free to all Australian addresses.